Flatiron steak is a cut of meat from the chuck area of a side of beef, near the shoulder. Chuck is often used for ground beef, and it is typically higher in fat and flavor than many other cuts. 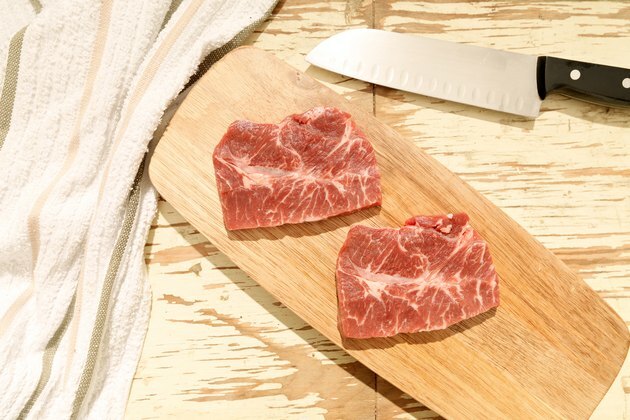 The flatiron steak begins as a blade steak and then is cut into two sections to create flatiron steaks. 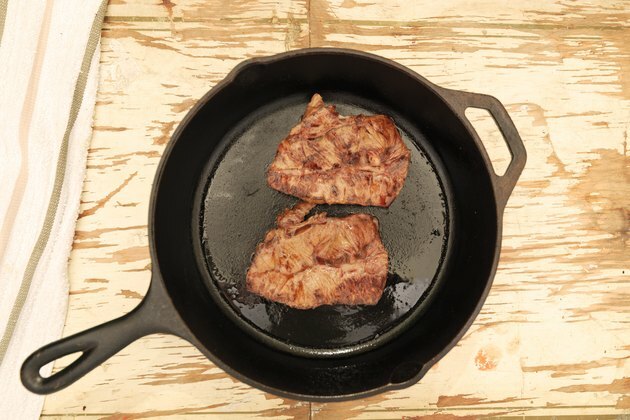 Cooking flatiron steaks in a frying pan will enable you to build a flavorful crust on the outside, while the inside remains moist. Remove the silver skin from the top of the steak with a sharp knife. The silver skin is a thin sheet of connective tissue left when the meat is butchered. 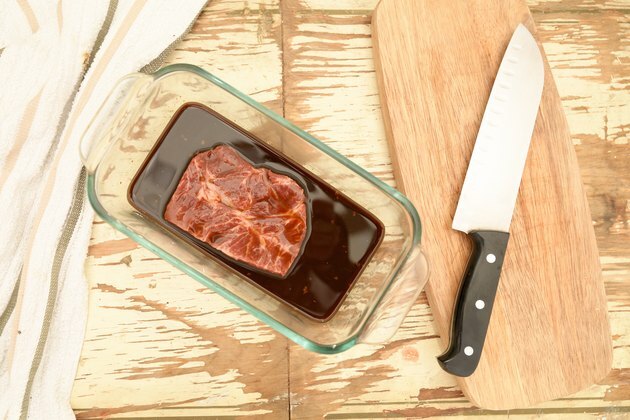 Marinate the flatiron steaks in your favorite marinade for at least one hour, and as long as overnight. Olive oil, soy sauce, Worcestershire sauce, salt, pepper and fresh herbs are common ingredients for creating a marinade. 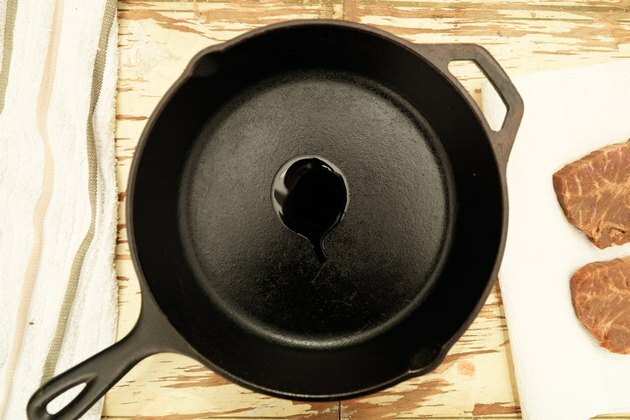 Heat a saute pan or skillet to medium. 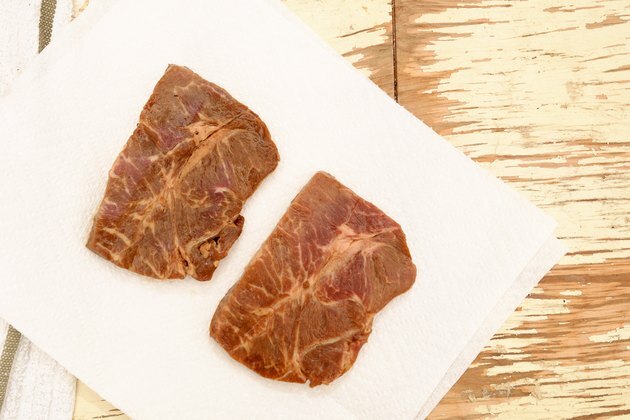 Remove the flatiron steaks from the marinade. Pat them dry with a paper towel. Add 1 tablespoon of olive oil to the pan. Add the steaks. Fry for 13 to 15 minutes, turning them twice. Insert a meat thermometer into the thickest part of the flatiron steak. For medium-rare, the steaks should be 145 degrees Fahrenheit. They should be 160 degrees for medium and 170 degrees for well-done. 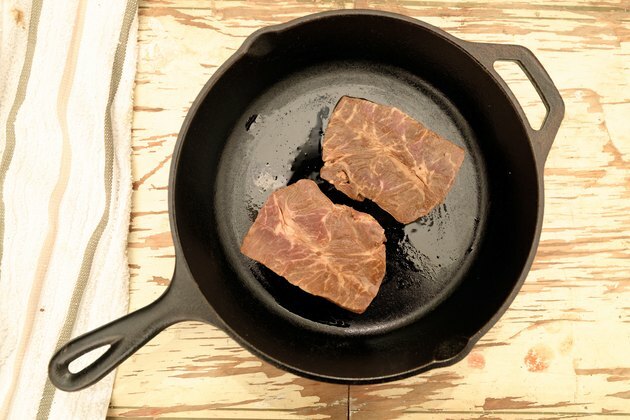 Remove the steaks from the pan and put them on a plate. Rest the steaks for about 10 minutes. Slice them across the grain when you cut into them. 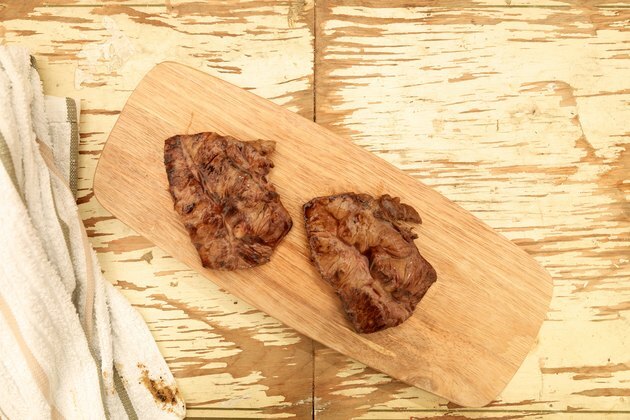 Fry the steaks without adding marinade if you’d like to taste the true beef flavor.